Greg Stimac's photographs have an immediate accessibility and a light-hearted appeal: one can approach them as jocular portraits of ordinary people, or as action shots that elevate a familiar activity to comic levels of significance. Nevertheless, the work has a critical underpinning. His many series vary but center around the idea of idiosyncratic, but very specific American behaviors: from meticulously mowing lawns, to shooting at gun ranges, to “peeling out” cars on a blacktop. In his Recoil (2004-2005) series, Stimac took his medium format camera to half a dozen unregulated ranges, mostly in Missouri and California. Using a long cable, Stimac released his shutter as his subjects open fire. The pictures in his series sometimes catch the blur of bullets leaving the barrel or a momentary burst of light and smoke, but they are more remarkable for the relationships suggested between the people in the frame. The shooters range from intent to casual, their companions demonstrating anything from total absorption to mild curiosity to an indifference bordering boredom. 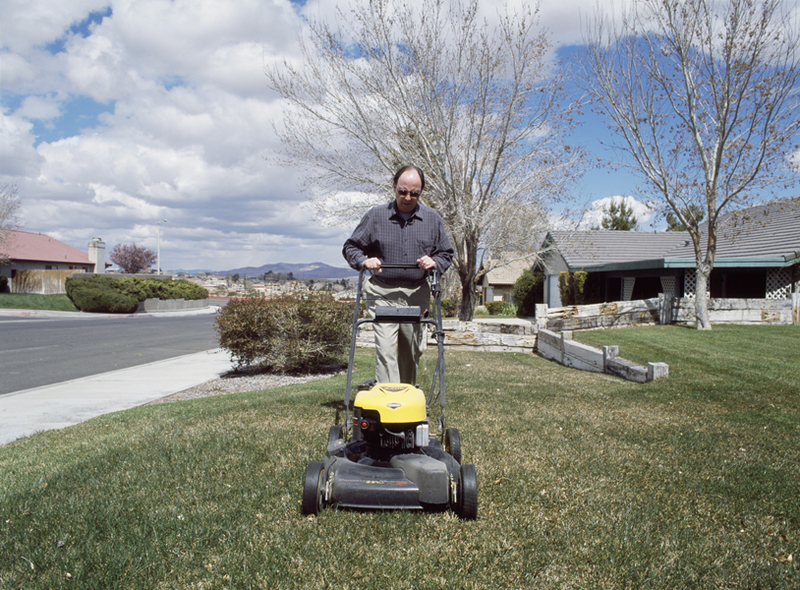 The photographs in Stimac’s Mowing the Lawn (2006) were taken in areas throughout the United States, from Midwestern suburbs to towns in Florida and Texas, often by driving around listening for the sound of a lawnmower. 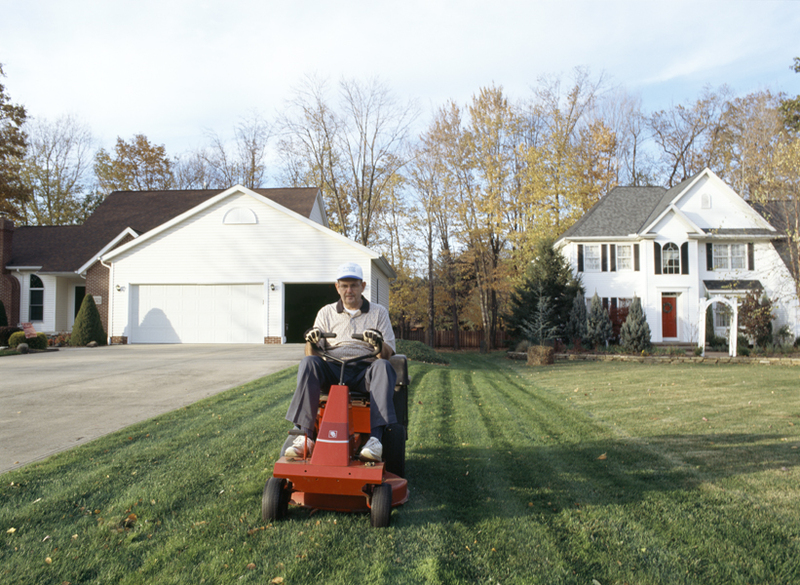 The people seen mowing the lawn in his pictures are visibly diverse, from bored teenagers, to middle-aged men and women of different races, to intent senior citizens, and they operate everything from old push-mowers to well-equipped riding models. Similarly, the lawns themselves vary dramatically, ranging from weed-ridden plots and brown patches of dry grass to verdant lawns around pristine homes. The series, through deliberate formal repetition, draws attention to the mundane labor required to maintain a lawn and it accentuates the sweeping importance of this American ritual. In the end, the scope and variety of Stimac's survey underscore the predominance of the lawn as a social and aesthetic norm—the expectation, even across different socio-economic classes, that one's yard will conform to a certain appearance. 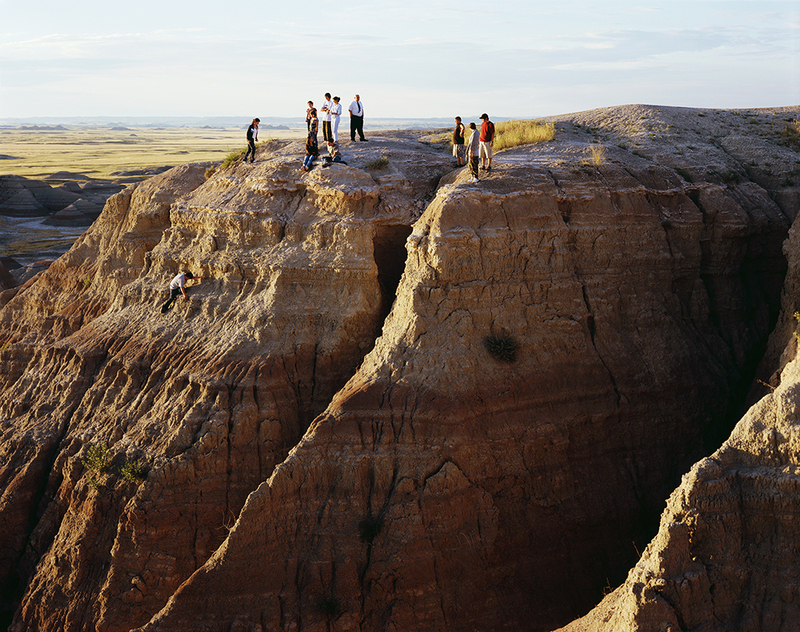 Greg Stimac completed his BFA in photography from Columbia College Chicago (2005) and his MFA from Stanford University (2013). 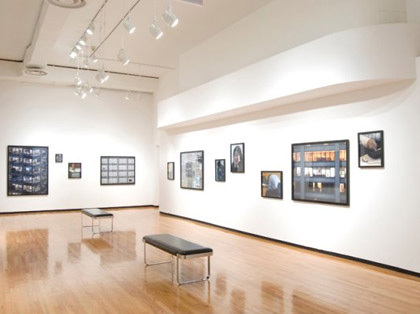 He has been included in exhibitions at the Walker Art Center, Minneapolis, MN (2008) and the Museum of Contemporary Art Chicago (2007), among many others.